The producers of the Futurama cartoon (who also produce The Simpsons) must have sensed this: When protagonist Fry tries the Internet in the year 3000, he ends up in a virtual 3D world – the future Internet. Before he can succumb to its fascination, however, a horde of noisy banners pounces on him: "My God, it's full of ads!" is his horrified cry . Many fans could see the future of virtual reality this way since the acquisition of Oculus VR  for US$ 2 billion by Facebook. Oculus is the company behind the Oculus Rift (Figure 1), the prototype of a VR "glass" that catapults the old science fiction vision of VR into the present day. 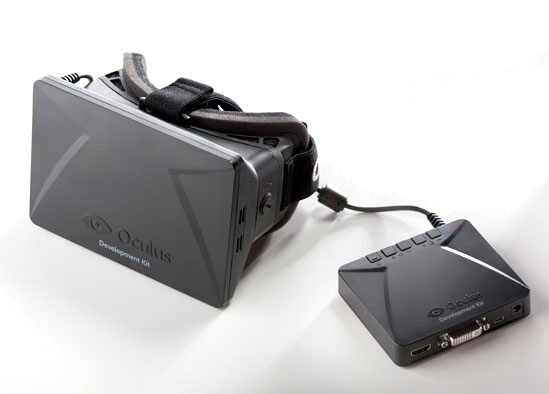 Figure 1: The current Oculus Rift from Developer Kit 1 together with controller box. Strangely, the acquisition of this hot piece of hardware by Facebook has significantly cooled the enthusiasm of many fans. Minecraft developer Markus Persson made a prominent announcement canceling his cooperation with Oculus VR after the deal. Additionally, the company's employees were exposed to a storm of outrage – ironically, often in the form of Facebook comments, which occasionally took a more serious turn, including death threats. Now that the storm has subsided somewhat, the extent of the damage seems more manageable. According to Palmer Luckey, CEO of Oculus VR, users will not need a Facebook account to use the Rift in future. Oculus could have sold the company to other big players; however, the general message was that the latter were just not interested in the vision the company shared with Facebook's Mark Zuckerberg. Thanks to the Facebook funding and the technical vision, VR could now be realized for the first time. Thus, many developers want to continue working with the data glasses. In fact, if you are really interested in a virtual reality future, you currently have very little choice but to resort to the Oculus Rift. Other major manufacturers are working on data glasses, but it can take a while for models to appear, not to mention Linux support (see the "VR Competition" box). The most frequently mentioned competitor in terms of data glasses is Sony with its Project Morpheus . After the Facebook shock, the company hopes to soak up defectors from the Oculus camp, but you cannot officially buy prototypes of the Morpheus. Critics fear that the glasses might support PlayStation 4; Sony is also not exactly known for openness. The prototype presented at the Game Developers Conference 2014 was likened to the Oculus Rift  by German computer magazine Ct.
Microsoft has even less to show, but rumor has it that Redmond is also working on data glasses. If so, they have never been presented publicly. Linux support would be even more of a surprise there, despite the change of management, and rumor also has it that the data glasses only work with the Xbox. The most interesting Oculus alternative for Linux developers would probably be the data glasses by Valve. The game distributor and manufacturer already offers some games with a VR mode for the Rift, but is also working on its own VR hardware. The makers of the Steam platform presented the hardware at the Steam Dev Days, albeit in a back room. It was the "world's best VR tech demo," says Oculus boss Palmer Luckey. Valve has ported hundreds of games to Linux with Steam OS running on Linux underpinnings – and there are numerous games with VR support. The glasses thus should electrify Linux developers. Here's the catch, though: What Valve really intends to do is currently unclear. On one hand, the Steam developers have contributed greatly to the internal Crystal Cove prototypes of Oculus Rift, on which the DK2 is partly based. On the other hand, three of Valves VR developers recently moved to Oculus VR – whether this occurred with or without the blessing of management is unknown. Finally, a number of smaller players have also attracted some attention in the wake of Facebook's acquisition. The Cortex glasses by Sulon  attempt to merge augmented reality with virtual reality by complementing your living room with virtual objects. Devices are due for release in late 2014 and cost around US$ 500. And, don't forget True Player Gear . The hardware data is similar to that of the DK2 by Oculus VR: The glasses include an OLED display and two 1080p cameras, and the field of view is 90 degrees, which would be akin to the Rift. Additionally, some large gaming engines support the VR glasses. Unlike the devices from Sony and Microsoft, the True Player Gear is designed to work with Apple computers and Windows PCs as well as with game consoles (PlayStation and Xbox). In the summer of 2014, the team will be looking to launch a Kickstarter to raise funds, and a device will be on display at E3 in Los Angeles in July. Until recently, anyone who signed up as a developer for the Rift could order the Developer Kit 1 (DK1), and some devices are still up for grabs on eBay. You can now order the DK2, though, which will be released in July and which fixes many of the problems with the DK1. More importantly for Linux developers, however, the SDK runs on Linux, as do some of the demos. It is not under an open source license, but the source code is available. If you believe Luckey , the company will not ask for any money from SDK users, which means they can publish the games they produce with it without asking for permission. A week passed between when I ordered the VR glasses (DK1) and when the goods shipped from the UK. All told, the device set me back around EUR 300 (about US$ 400 or UK£ 250). The supplied plastic case included three pairs of lenses labeled A, B, and C. The widest lenses (A) are designed for far-sighted and normal-sighted users, the middle size (B) is for moderately nearsighted users, and the C lenses are for highly myopic users only. Users who wear glasses can theoretically leave them on: The front of the Rift can be moved slightly forward to avoid contact between glasses and lenses. In practice, however, this might not always work out with the DK1. The VR glasses are hardwired to a small controller box by a 6-foot (~1.8m) cable and features different connectors. One is for the power supply, and two others (USB 2.0 and HDMI 1.3+) connect to a computer, which thus needs a reasonably up-to-date graphics adapter for the demos to run at the recommended 60 FPS. I used an HP laptop with an ATI/AMD graphics card (HD 6500M) in our lab. There is also a DVI output, together with a DVI/HDMI adapter. On the controller itself, you can enable the Rift by pushing a button; VR users can also adjust the brightness and the contrast. When you put on the Rift, you look into a 7-inch 60Hz LED display with a 1280x800 resolution (5:4 aspect ratio), which means 640x800 pixels for each eye. This is not much, so you can expect a pixelated display. The field of view is 110 degrees diagonally, and 90 degrees horizontally, which gives users a sense of immersion. Users are completely shut away in virtual space and cannot see the outside world, which is different from augmented reality or VR solutions with a smaller field of vision. Although a human's horizontal, binocular field of vision is 170 degrees, you can't actually detect patterns at the edges of this field. Head tracking, which follows the user's head movements at a sampling frequency of 1000Hz, supports the feeling of immersion. The DK1 has three degrees of freedom (DoFs): You can move your head up and down (pitch), turn to the right and left (yaw), and tilt your head to the right and left (roll). The interpupillary distance (IPD) is fixed at 64mm, but this can be changed in software via stereoscopic projection. New initiative will bring futuristic virtual reality effects to the web surfing experience.